Fresh Apple Cake—Happy Birthday, Dad! 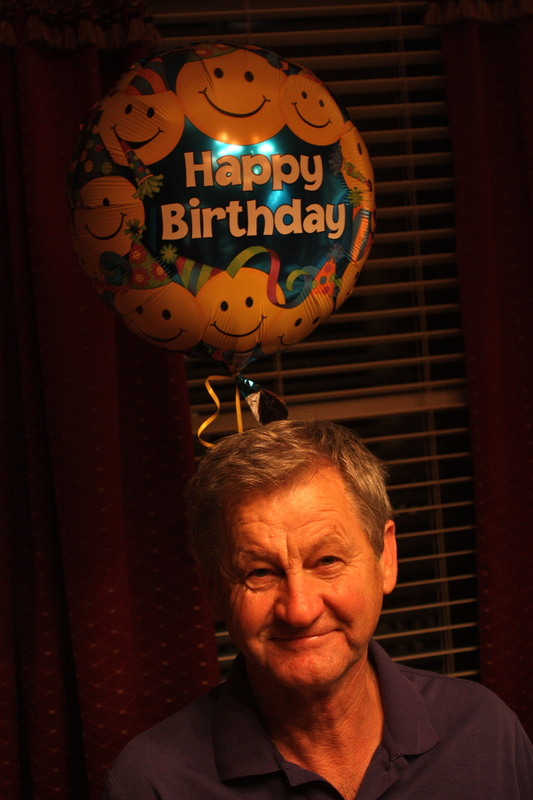 | "Il faut goûter"
Fresh Apple Cake—Happy Birthday, Dad! 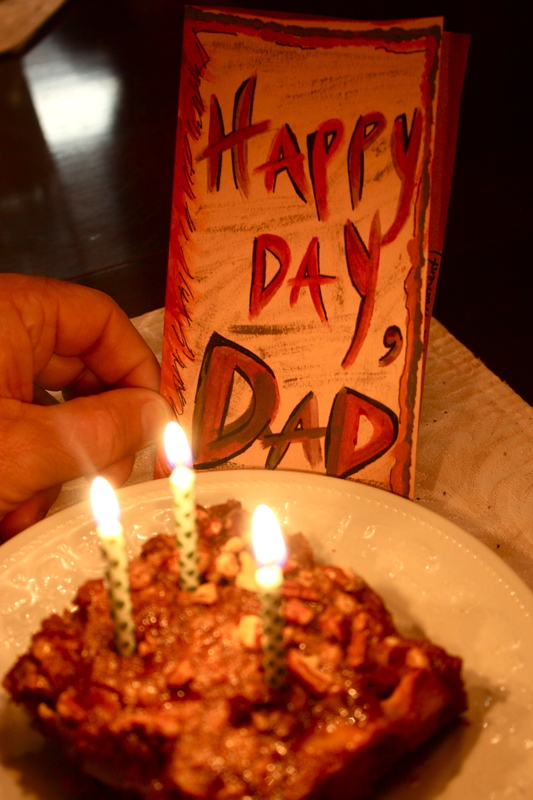 This year Dad wanted to celebrate with this Fresh Apple Cake Mom has made a few times. A moist and scrumptious spice cake with fresh apple layers and a decadent caramel glaze. Perfect during apple season. Perfect for a Happy fall Birthday. 1. Preheat oven to 350 degrees. Bake pecans in a single layer in a shallow pan for 5 to 7 minutes until lightly toasted and fragrant, stirring halfway through. Set aside. 2. Stir together butter, sugar, eggs, and vanilla in a bowl (or stand mixer) until blended. 3. Combine flour, cinnamon, soda, and salt; add to butter mixture and stir until blended. 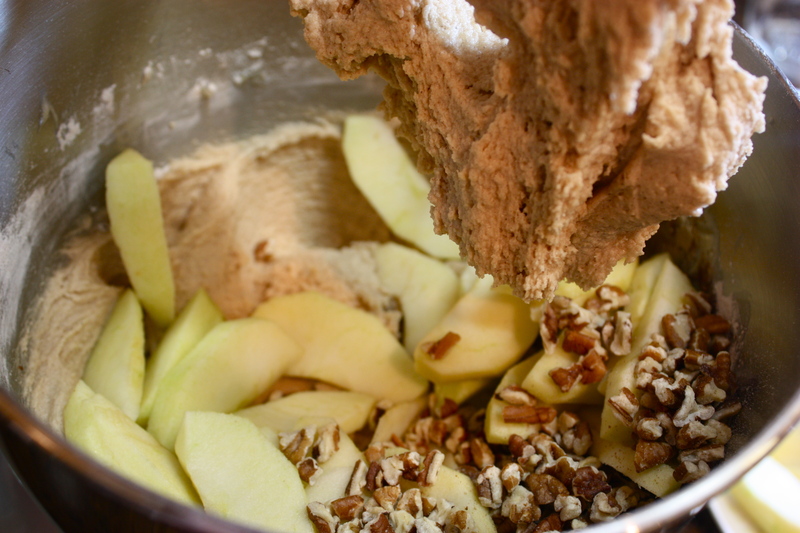 Stir in apples and 1 cup pecans. Batter will be very thick, similar to cookie dough. 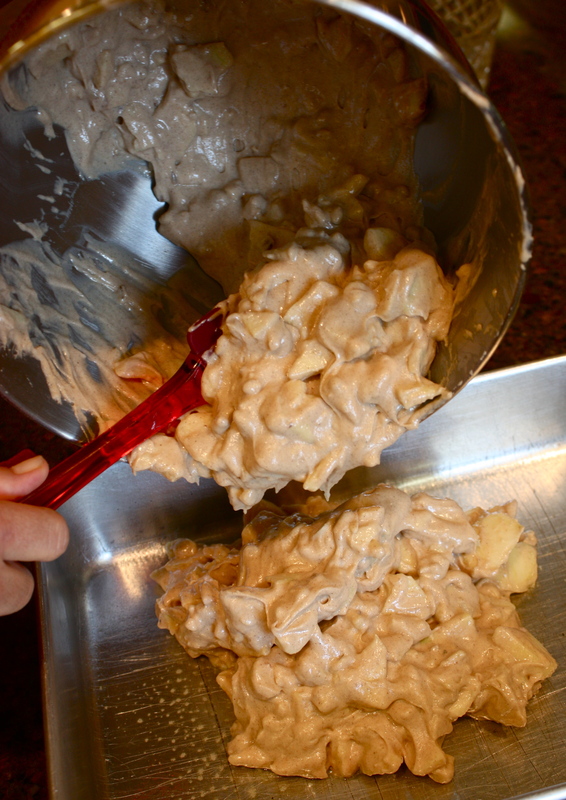 Spread into a lightly greased 13×9-inch baking pan. 4. Bake at 350 degrees for 45 minutes or until an inserted toothpick comes out clean. Cool cake completely in pan on a wire rack. 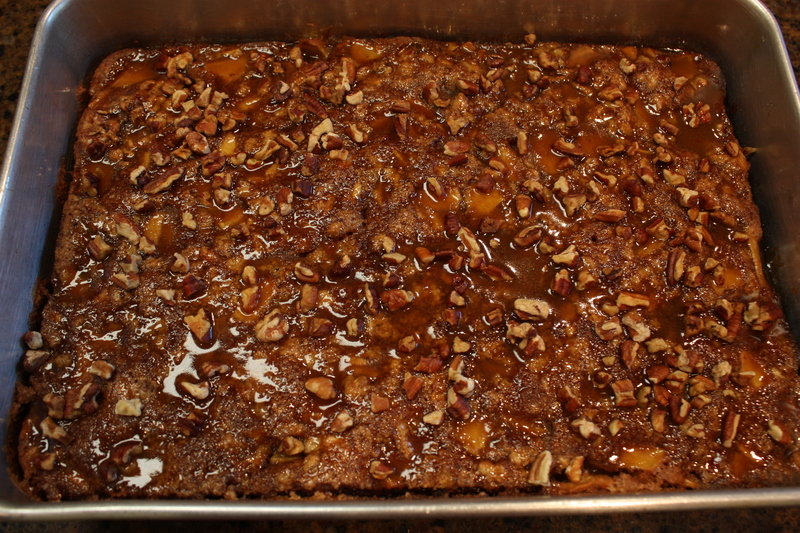 Spread caramel glaze (below) on top of cake and sprinkle with the remaining 1/2 cup of toasted pecans. 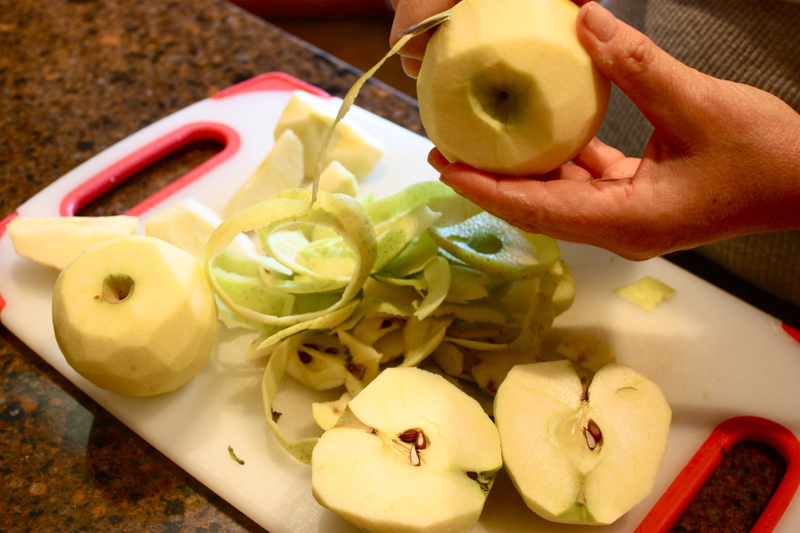 *the original recipe calls for tart Granny Smith apples. 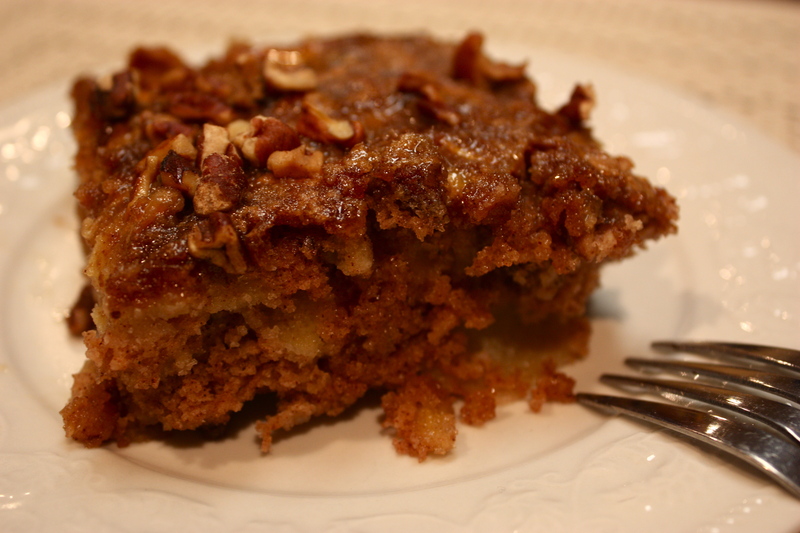 Mom has been making this cake with Golden Delicious apples this season, which are sweeter. Use whatever apples you like and/or have available! Bring sugar, butter, and milk to a boil in a small saucepan over medium heat, stirring constantly. Boil, stirring constantly, for one minute. Remove from heat and stir in vanilla. Stir two minutes more and use immediately. This entry was posted in Sweet and tagged birthday, caramel glaze, food, fresh apple cake, recipe by needtotaste. Bookmark the permalink. What an awesome cake and I love that you used pecans, which I really prefer!